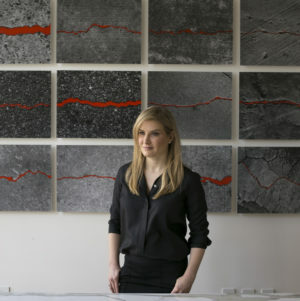 Molly Gochman is an award-winning activist and artist who aims to bring together the collective experiences of many people for greater understanding. She is also the Founder of the Stardust Fund, a philanthropic initiative dedicated to increasing the participation and power of excluded people; and she is the Founder of Stardust Equity, a mission-driven investment fund responsibly deploying capital, specifically through a gender lens. In 2014, Gochman created Red Sand Project, an international activist artwork that raises awareness of the vulnerabilities that lead to exploitation. The project has engaged in action over 1.5 million people of diverse backgrounds – and it’s continuing to grow daily. She has served on the board of the Texas Civil Rights Project, and is currently a board member of The Freedom Fund and Children’s Rights. She was recently named one of New York’s New Abolitionists by the New York State Anti-Trafficking Coalition. A native Texan, Ms. Gochman earned a B.F.A. in sculpture from Guilford College.